As we all know, big world events, particularly involving terrorism and major crimes, usually result in a number of books, but I was interested to learn that the same applies to the Olympics. An article in Bowkers reports that even before the London summer Olympics began, over 120 Olympic-related print and ebooks have been published. This figure eclipses the 109 titles released for the 2008 Beijing Olympics. Reviewing stats back to 1996, this spike in publication around Olympic time has been an ongoing trend, but one that applies to the summer Olympics more than the winter games. In fact, the Vancouver 2010 Winter Olympics resulted in only 55 more titles. Bowkers notes, however, that the timing of the winter games in February makes it more difficult to track publications, although the article doesn’t explain why this is so. The aftermath of the Olympics also prompts more books. After Michael Phelps’ remarkable swimming performance in Beijing, 32 books were written about him. Part of the reason for the plethora of books is attributed to the ease of producing books with today’s technology. I imagine we can expect a lot more books once the Olympics are over, which is fine by me. You’ve got to admit that a lot of great stories will come out of these games, but at the moment, I’m enjoying every minute on TV. 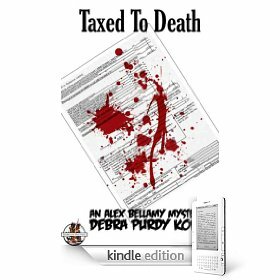 Last month my ebook publisher suggested putting my first Alex Bellamy mystery, Taxed to Death, on the 90-day Kindle select program. Having read about other authors’ experiences, I thought sure, why not? After all, the book would likely gain more exposure. Well, as of this morning, there has been nearly 900 downloads, and some sales of the sequel, Fatal Encryption. In less than 48 hours, new life has been breathed into a book that was published several years ago. While this new breath might be short lived, it’s a delight as this story is still close to my heart. Taxed to Death has received pretty good feedback over the years, especially from young people. My protagonist is a 26-year-old Revenue Canada auditor, who finds himself trying to solve his colleague’s murder. In Fatal Encryption, a more somber, less confident Alex is between jobs and dealing with family issues, girlfriend issues, and trying to figure out his next career move. Perhaps young people like it because they can relate to Alex’s problems. The book was dead, Jim. At the suggestions of a series of agents, I had rewritten my fantasy until the heart fell out of it. It was time to reboot. But could I? How? With paperclips, index cards, highlighters, a computer, a notebook, and floorspace, that's how. I had at least three versions, plus bits I had removed and parked in a Bits file. I took printouts of all of them but the first and went through them. Any scene or character or line I particularly liked got highlighted, paper clipped, and noted on an index card that was coded in the corner: 1995 p27-38, for example. Then I went back to my first version. Using that one as the template, I made a outline and wrote each element of that on an index card. Then I started stacking, arranging, and shuffling. If I found similar "keep this" scenes in more than one version, I compared them to see which I liked better, or I combined them into one I liked best. Taking the now-ordered stack of cards, I cut and pasted scenes into a new rough draft that contained everything I loved about all the versions I'd done. At this point, I was lucky enough to qualify for a writing retreat, and even luckier that I was the only one there at this particular time. It would have been hard to resist the camaraderie of fellow writers, especially if socializing would have taken me away from hard work.... Oh, did I say that out loud? As I went, I made notes of questions that needed to be answered, discrepancies, questions that needed to be inserted, bumps, character names, and anything else that needed to be tended to. When I got home, I tended to them. Now the book is huge again. I just signed a contract on it, with the understanding that it will need to be published as a series, probably of three. I realize that there may very well be more rewriting to be done, but I believe I can do it without murdering the manuscript. If I do commit verbicide, at least I know how to undo it. Most writers claim they write only to entertain, and yet messages do creep into our books whether we will it or not. I don’t write to entertain but to write the stories I want to read, stories that no one else has written. And still, the messages are there: nothing is as it seems, we are not necessarily who we think we are, history did not necessarily happen the way we think it did, and what we see is not necessarily the truth. But all that was more of a side effect. Mostly I just wanted to write good stories with good characters that I would have loved to read. Here are some messages that crept into other authors’ books. The comments are taken from interviews posted at Pat Bertram Introduces . . .
I’m not big on putting messages in fiction, but one snuck into Exchange. We live in what my daughter calls a ‘bubble-wrap’ society, one that is obsessed with reducing risk to the point of keeping us from doing a lot of things we want to do and/or need to do. How does that kind of society react to suddenly being in a world that is wilder and more dangerous than the Wild West ever was? A lot of us take the benefits of the bubble-wrapping for granted, but dream about getting away from the restrictions. Unfortunately, the risk reduction and the restrictions are often a package deal. I try not to hit people over the head with that message and you can read and enjoy Exchange without ever noticing it, but it is there. Typically I like to have lessons and character growth. I like to show how characters make either correct or incorrect choices. Sometimes the difference between good and evil is simply taking the right or wrong action. I’ll let the readers take what morals they want from the story. The January books are composed of a number of messages. In January’s Paradigm the reader learns that there are people in the world—men and women alike—who are not very nice, and that men don’t have a corner on the mean market. Men, too, can be hurt through a woman’s infidelity. One Hot January shows that no government is benign and that we must care about a world we will not see. While January’s Thaw is largely about redemption, that it’s never too late to close the door on the past and to live in the moment, for tomorrow. The real world is complicated. Don’t seek simple answers. Seek instead complete answers. Don’t be satisfied with what people tell you. Always look for the full picture, and discard everything that does not meet the test of logic and reason. Always strive towards a greater understanding of the world, without settling for dogma or over-simplicity. Every action has a consequence. And always remember that you are free – and with this freedom comes the necessity, burden and power of choice. Yes, I do demonstrate a message in all three of the novels in this trilogy. What I have observed at the crossroads of humanity is that victims of atrocities can never forget what they have endured, and their resulting bitterness perpetuates revenge. This convinces me that as long as victim and perpetuator seek retribution against the other, true peace can never be achieved. But, there is an answer: the ACT OF FORGIVENESS. We understand the idea of God’s forgiveness, but the act of forgiveness becomes meaningless if we cannot first forgive ourselves and then one another. To make a difference in world peace, victims and their perpetrators must forgive themselves before they can forgive one another and live in harmony. To launch a multiyear celebration of the book, The Library of Congress launched a special display called “Books That Shaped America”. As is noted in the link below, the top fifty books, (in alphabetical order) is not a list of the best books in America, but the ones which have shaped our lives, which explains why Cat in the Hat is mentioned. I totally understand this choice. Who doesn’t remember reading the book in childhood, or reading it to children or grandchildren? As the Library of Congress points out, a number of the titles would definitely make a top fifty list as well. As I browsed through the first twenty, I was surprised by how many I had read (probably at least half), including Atlas Shrugged, Adventures of Huckleberry Fin, Beloved, and Bury My Heart at Wounded Knee. Some of the books I haven’t read include Alcoholics Anonymous and American Cookery. There were a number of excluded titles that I would happily add to my own list: books by Gloria Steinem, John Irving, and Betty Friedan, for instance. But as you’ll see on the page, the Congress does invite people to nominate other books. The title of a book is important. It’s the first thing a prospective reader sees . . . or at least it used to be. Now the author’s name comes first and apparently is a much better selling tool than the title ever was. A title is still important, however. It often sets the mood for the book, it lays out the theme, and it tantalizes readers into opening the book. Think of Gone With the Wind. With such a title, you expect a wide sweep of a story. The title speaks of loss and perhaps survival in the face of broad changes. Even before you open the book, you are primed to find out what is lost and why it disappeared into the wind. Imagine then, how different your feeling would be if the book had been published under its working title. Pansy. Would the book, the movie, the character have ever had such an impact if that had been the name? Of course not. Another major work with last minute name changes was Catch 22 by Joseph Heller. Originally Catch 18, it was changed because of another book that was coming out at the same time: Leon Uris’s Mila 18. And 1984 was originally 1948. So not the same feeling! Marshall Karp, who is now co-authoring books with James Patterson, once was a guest on my blog talking about Titles: What Makes a Good One. He says they should be short so that the title stands out online in a thumbnail (good point!) and it has to grab a reader in a way that makes her want to grab the book. My latest book is called Light Bringer not because the title is short or a grabber, but simply because there was no other possible title since bringing light is the theme of the book. Light is brought to hidden places, both in the world and in my characters’ hearts. Light is brought to truth, or at least the possibility of truth. Light, as love, is brought into the lives of my characters. How do you choose your titles? Does the title come first or does the story come first? Pat Bertram is the author of Light Bringer, More Deaths Than One, A Spark of Heavenly Fire, and Daughter Am I. All Bertram’s books are available both in print and in ebook format. You can get them online at Second Wind Publishing, Amazon, B&N and Smashwords. I’ve had a lot of good advice in recent years about the benefits of social networking, and I’ve tried to do my best with blogging, guest blogging, Facebook, Twitter, Goodreads, AuthorsDen, LinkedIn, and others. I’ve been to my share of writing events, held a book launch this year, co-presented a workshop on ebooks and marketing, and worked on my novels every day. I love this life, but every once in awhile, I need to take a good hard look at things, see if I’m making the best use of my time as a writer and promoter. In other words, I give myself a reality check. I’ve never quite been able to nail down a clear definition of what being a successful writer is, and I don’t want to waste hours doing so. It’s a personal thing that’s different for everybody. I do know that if I write every day, take my work to my critique group, and put on a positive front, that I’m probably on the right track. Most of the time it feels right, but sometimes it doesn’t, and then I start driving myself a little crazy by wondering if this is the right track at all. Whenever this happens, I do what works best: I have coffee with a colleague or two, or three, who have similar issues or questions, and we talk it out. It’s immensely beneficial to have others listen, to help you put things in perspective. Staying connected through social media is one thing, but the physical connections are the ones that keep me sane. It’s incredibly helpful to lay one’s cards on the table and share how publishing and marketing is really going, or not going, in our lives. Sure, social networking and virtual friends are great, but face-to-face contact, where you don’t have to smile and pretend it’s all fun and perfect and productive is often better. Sometimes the writing life kicks you to the curb through bad reviews or no reviews, low sales, nonexistent royalties, or merely unrealistic expectations. Face-to-face friends help you back on your feet and don’t expect you to smile every time you type 140 characters. Oddly enough, shortly after I went through my recent reality check, TouchWood Editions offered a contract for my third Casey Holland mystery. Beneath the Bleak New Moon will be released in the fall of 2013. I’m very excited and happy about this. Of course, once it’s been released and I’ve completed a few weeks of promotion, I imagine another reality check will be necessary at some point. But that’s okay. They keep me sane. Just over a week ago, a representative from Amazon contacted me to ask if I'd consider putting CHILDREN OF THE FOG, my bestselling supernatural suspense, in a special promotion. So after a few emails back and forth, I of course said YES. I'd be foolish not to take them up on some free advertising and exposure. 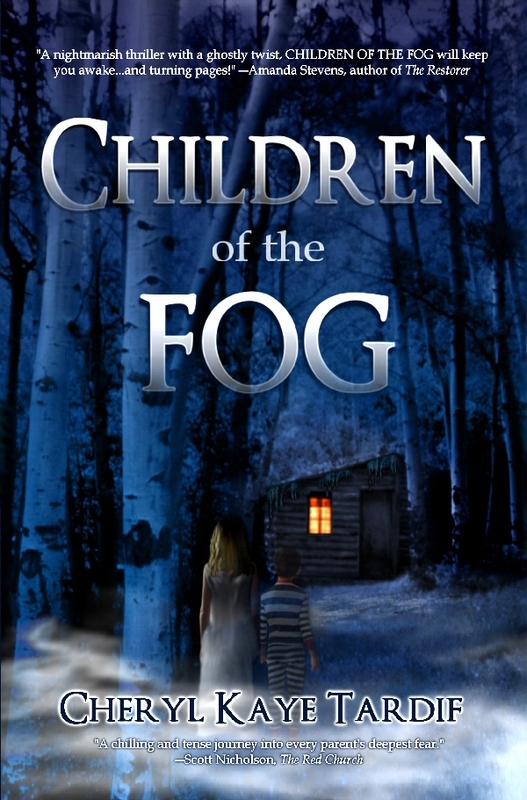 For the month of July, CHILDREN OF THE FOG is listed on the 100 Kindle Books for $3.99 or Less page on Amazon, in the Deals section and under the Mysteries and Thrillers category. So for all of July CHILDREN OF THE FOG is on sale for only $0.99 (list price: $3.99). An international bestseller & Top 100 Amazon bestseller (was #4 under The Hunger Games trilogy). I came across two insightful blogs this week that reflect different thoughts on ebook publishing. Both blogs are quite candid and well worth reading. The first by Jeff Bennington discusses the lies many self-publishers believe about publishing. As an indie author, he’s the first to admit he bought into the lies until he learned otherwise. The first lie is the belief that one's book will become a bestseller, especially if it’s critiqued, editing, and promoted sufficiently. Jeff admits that he couldn’t see the flaws in his first book and has now taken it out of circulation. The second blog by Lindsay Buroker discusses what it takes to become a full-time indie author. Although Lindsay’s sales have been pretty good, and she considers herself on the right track, she’s the first to caution against anyone quitting their day job. But she does offer some strategies, such as writing not only books but novellas and short stories. Taking a page from Dean Wesley Smith’s beliefs, she also believes that the more work you have out there, the more exposure, and therefore the more sales potential. I’d love to hear about your success stories with ebook publishing. What works for you? What doesn’t? For me, Twitter as been quite successful in spreading the word about giveaways and has helped spread attention about my books, although the verdict’s still out with respect to sales.